Charisma is a skill, it can be learnt. Start by learning the right definition of charisma. The generally accepted one is: compelling attractiveness or charm that can inspire dedication of others. While this definition sound grandiose, actually we see this skill everywhere. We are not talking about the cool guy who talks very little. Anyone can be charismatic. It can be the person in the social group who convinces a divided group to go to a specific restaurant. Or it’s the parent in the park who organizes other kids to play a game. It’s the citizen in the messed-up banking queue who re-organizes it. So, charisma is typically about taking action, because people follow action. And charismatic people take more action to pro-actively lead unclear situations and become good at it over time. Why do they do it? Because they have an inner desire to make things better. Don’t we all have this desire? Yes, we do, but we don’t always act on it. If you want to be charismatic, start acting on your intentions to make things better for others. Like what? Take proactive action to improve things others do nothing about. Help a colleague at work, organize a celebration party for a project well done, say thank you three times than your usual. Objective is to turn your inner motivation into action so that other people can take as an example. Be your authentic self – build on your personality. There is no one charismatic style such as cool talk. The real charisma is about being authentic and reflecting your original personality. Charismatic people don’t try to be a person different than who they are. You can be a lively energetic person like Bono (U2 Vocalist) or soft spoken and calm like Gandhi. Both of them are followed by millions. And again, charisma is not about gaining million followers but simply gaining followers around you. If you are an energetic, lively person, don’t hide it, especially at work. Reflect your energy during the day, laugh out loud, run to meetings. If you are a calm person, focus on your words and getting things done so people see your value not so much in your energy but in your doing. If you love your family, bring your kids to work. Forget the cliché of the tough or the cool businessman / woman. Understand your own personality and bring it forward in everything you do, especially your work. Discover insights that other people don’t see: This is probably one of the most difficult skill to learn but it’s precious in the process to build charisma. First, what is an insight? It’s a well-accepted truth that are not obvious to others. Let me give you a simple example: Did you notice that loudness of a dog is inversely correlated with its size? Or when women ask men ‘’How do I look, they are not asking for feedback but they seek confirmation – so the only answer to this question is ‘’Great!’’ regardless of how they look. Or, business people spend considerable energy to build 5 year budgets by predicting all revenues and expenses for their business, but they don’t prepare an annual budget for their personal life, despite the importance of the latter. You can give endless examples. So, when you discover and talk about insights, the typical reaction is ‘’Yes! That’s very right!’’. This is the secret to unlocking the hearts and minds of many people, even strangers. So the advice here is to find out these ‘’Hidden truths’’ in your business. To do this, you need to challenge well accepted paradigms by asking hard questions. To ask questions, you need to be curious especially about your passion. The more answers you find to these questions, the more interesting you become when you talk. Here’s a common example: To increase sales you executed a promotion but it didn’t work. Management dismissed it as unsuccessful promotion. But you asked the hard questions: Why didn’t it work? Why did customers not like it? Was there a specific group of people who liked it? The more you dig into these questions, the more you know and understand your business better than others and then start explaining abnormalities with your ‘’Insights’’. It requires you to go the ‘’Extra mile’’ and learn more than others. So when you start coming up with more insights, you’ll be more charismatic than others. This applies to your whole life. The more insights you have the more interesting you are. Master the art of talking: While charismatic people might have different personalities and styles, there is one unifying factor among them. They are the masters of communication. Partly, they develop this ability, like a small competitive advantage that becomes better and better over time. After being recognized and increasing their influence, they get more opportunities to talk, present or connect with other people. As a result, they also get more chances to communicate better, more effectively and from the center stage. Lastly, as they develop further in their expertise area, the costs of mistakes or miscommunication also increase. Because more people follow them. This dual feedback mechanism, i.e. high level of repetition to improve the communication skills and increased negative cost of miscommunication turns them into better communicator over time. So what can you do to communicate better? Start by improving your everyday communication. The recipe is simple to outline but difficult to apply. First, know who you are talking to. Connect with your audience by empathizing with them. Talk their language. Be simple but effective. Second, deliver your message upfront. This is one of the most difficult skill to master because it goes against our school education of introduction-development-conclusion style composition writing training. Lastly, always give examples by telling stories. People love hearing stories because they get inspired instead of just following instructions. Where to start? Just start writing your emails differently before you start practicing talking. Put your conclusion at first and tell your reasons later. It’s not easy to start but it definitely trains your thinking to become a great communicator. Dress for success: As you improve your influence and charisma over time, people start paying more attention to how you dress. Therefore, my guidance is always to dress one level higher than what everybody else does, particularly at work. While this is not the only factor that will make you charismatic, it will be a supporting factor in how people perceive you along with your other skills that I outlined above. We are living in an increasingly less hierarchical, connected world where the traditional definition of title based power is being replaced by influence. 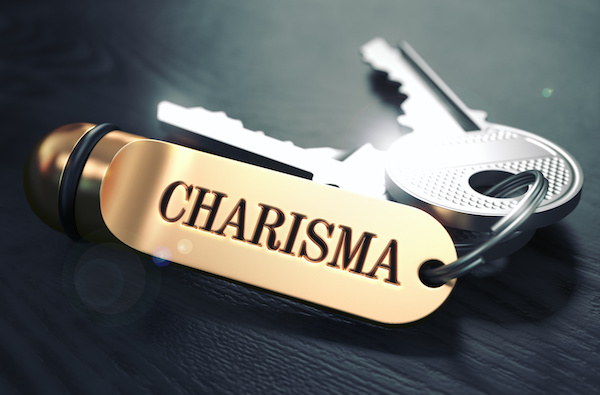 Charisma is a key skill that can unlock your potential to make a positive change by influencing more people around you and maybe around the world. 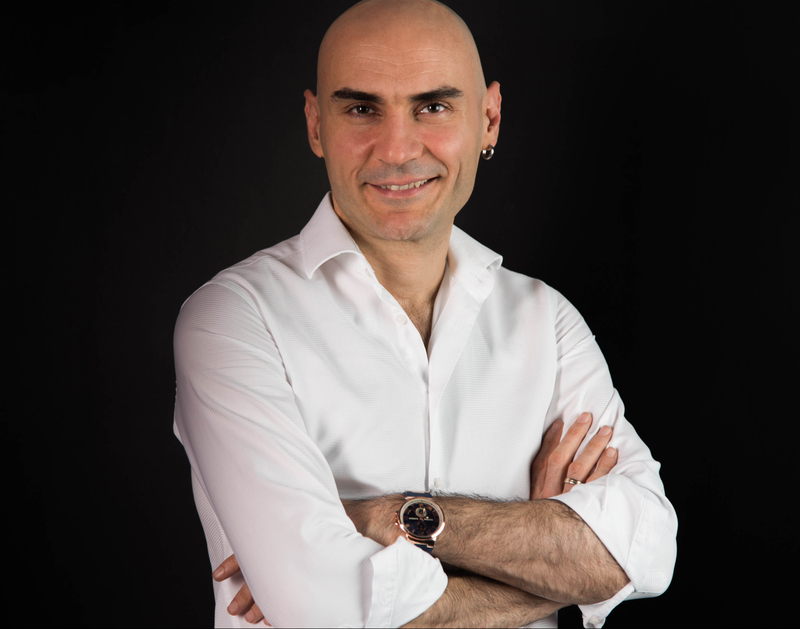 This entry was posted in Career, Leadership, Uncategorized and tagged charisma, charismatic leader, гувенч донмез, гюванч донмез, Guvenc Donmez. Bookmark the permalink.